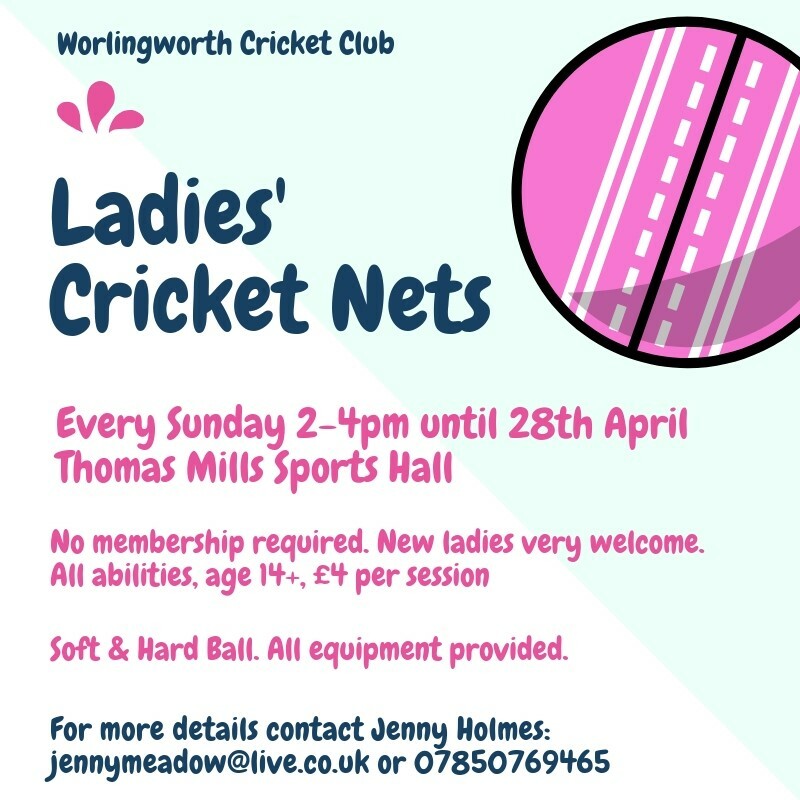 You are invited to join us at the Worlingworth Ladies Net Sessions this Sunday, at Thomas Mills Sports Centre in Framlingham, continuing every Sunday until 29th April, from 2-4pm. The cost is per session and is £4, we would love to see you there! Please spread the word, all girls/ladies from school year 8 and above are very welcome!